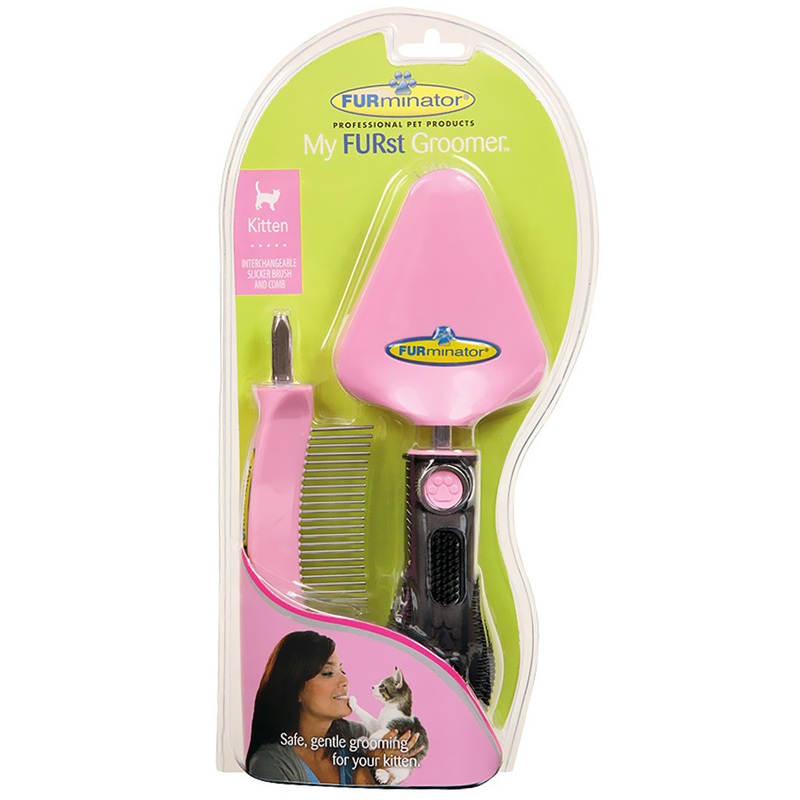 FURminator My FURst Groomer - Kitten is a groom tool used to start your kitten on a lifelong grooming routine. It is specially designed to offer a soothing, massaging experience when brushing, while keeping hair clean and healthy. The interchangeable slicker brush and comb are easy to use and safe and gentle on delicate skin. My FURst Groomer will ensure a comfortable grooming process for your kitty! 3-piece interchangeable slicker brush and comb set. Safe and gentle on your kitten's delicate skin. Soft slicker brush features specially designed bristles with angled tips. Curved comb features a special contoured shape and spacious teeth for gentle combing. Push button to easily change grooming attachments.